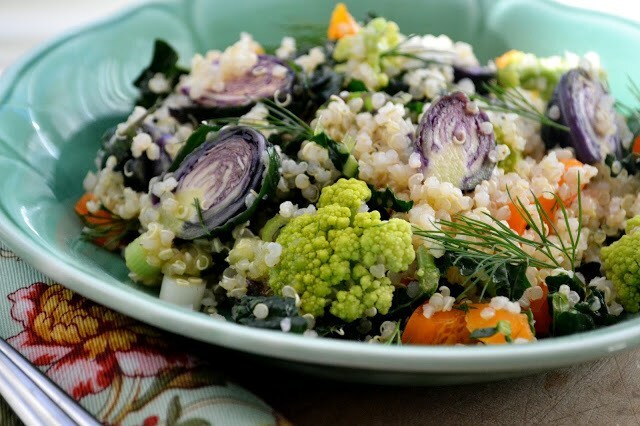 Toss the quinoa together with all the vegetables. For the dressing, mix the ingredients in a small bowl or mason jar, and whisk or shake until combined. Pour over the salad and toss well.